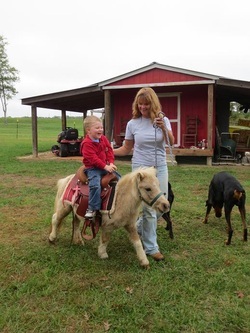 In addition to the training our foals receive, we have started training some of our horses to accept a saddle so they can be ridden by children. 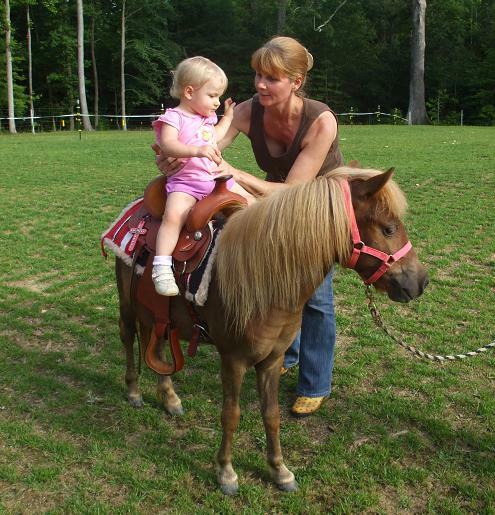 At this point in time we are only lead line training, but as the grandchildren grow and learn to ride, the horses' training will progress as well. Click April's picture to see additional pictures of her training. 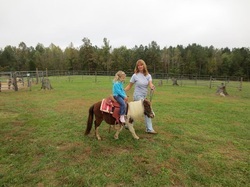 April was the first horse we attempted lead line training with. 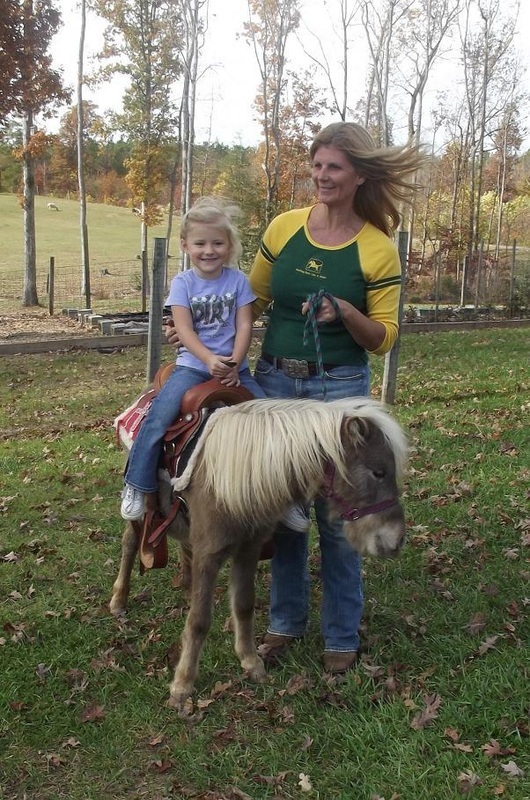 She is a wonderful mare and is currently serving as a therapy horse. She's one of those horses that if you had the opportunity to own her again, you would. 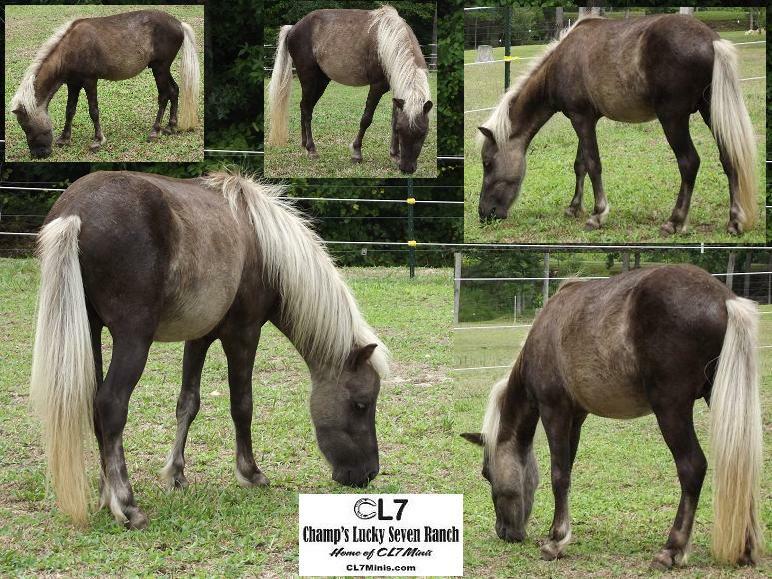 The horses pictured above have been sold and are no longer located at JW Minis. The horses below are currently owned by JW Minis and are in training under saddle as lead line horses. Click CharMane's picture to see more. CharMane can also be found on our "For Sale" page. 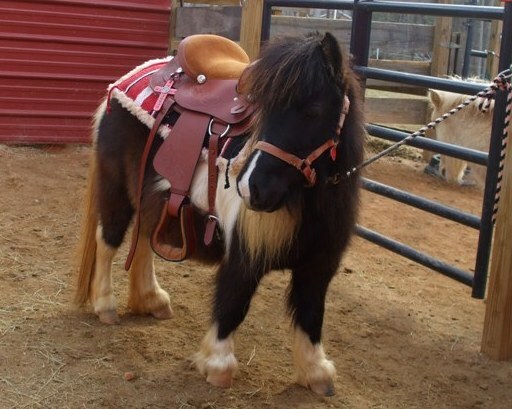 Pictures of Little Man under saddle coming soon. 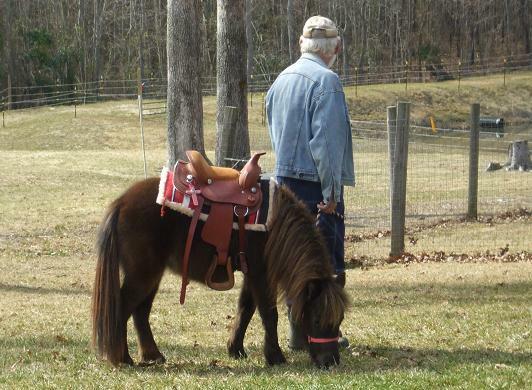 He has been walked and trotted with a saddle on and he did great. He hasn't had a child on his back yet, but we'll get that done soon. 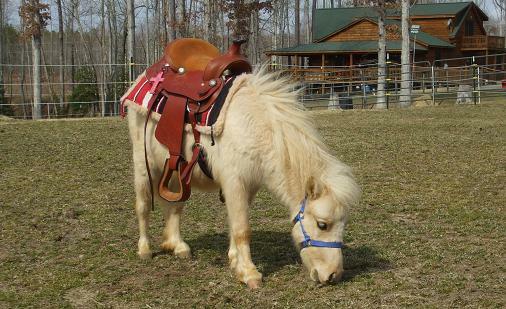 Little Man can also be found on our "For Sale" page. Click Tater's picture to see more of Tater, Connor and Kaylee. 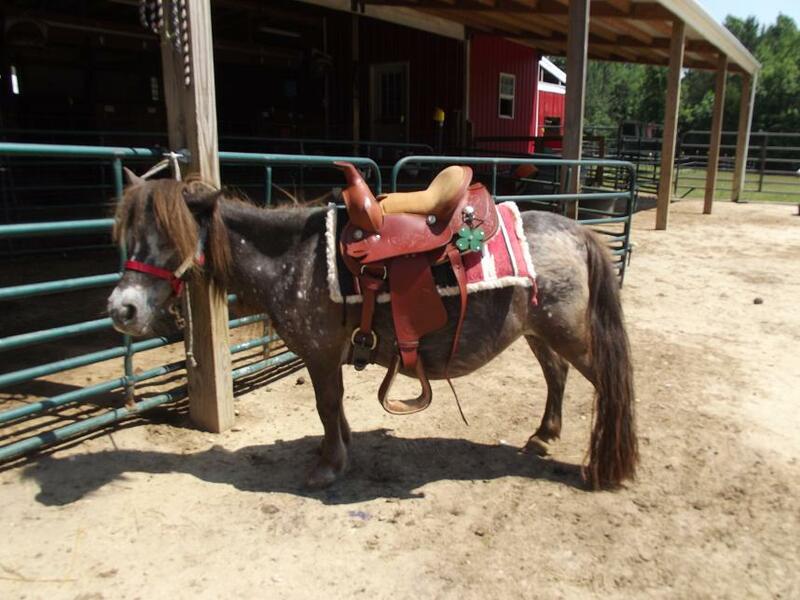 Tater can also be found on our "For Sale" page.